It appears the wave of early disappointment in the iPhone 4S that washed over U.S. consumers has now made it to the United Kingdom. A third of UK consumers were “disappointed” Apple’s new handset didn’t offer more features, according to an Internet survey. The survey of 1,500 consumers shopping for a smartphone weeks after the iPhone 4S was introduced found just 29 percent of respondents said they would buy the Apple smartphone. Of that group, 48 percent was interested in a BlackBerry, while 37 percent said they were thinking of buying an Android device. Of the third of respondents to the survey by U.K. site MyVoucherCodes, a whopping 64 percent said they had wanted the device to have more features. At the same time, just 29 percent of UK consumers asked were itching for a complete redesign – in other words an iPhone 5. However, survey participants were big fans of the Siri voice-recognition system, as well as the improved camera. It’s unknown how this disappointment will affect sales. In the U.S., the iPhone 4S sold 4 million units in just the first three days. AT&T has said the 4S was a strong seller and financial analysts quickly removed any doubt where Wall Street stands, emphasizing the iPhone 4S’s late launch should mean record sales for Apple’s 2012 first quarter. 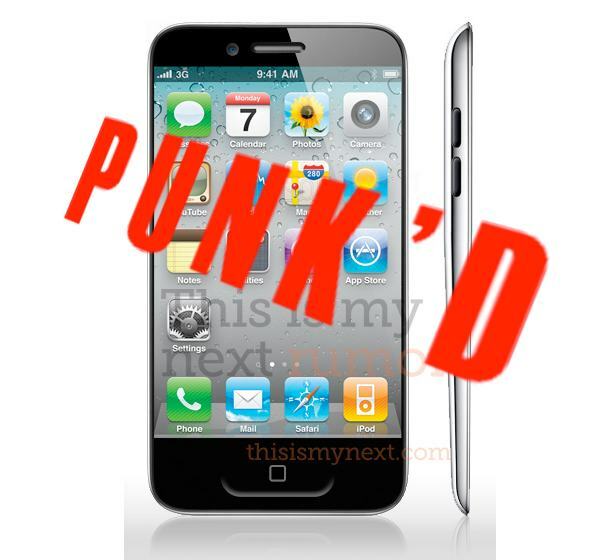 What is clear from the iPhone 4S is that the hype machine can sometimes get out of control. In a physical sense, all the chatter about the supposed iPhone 5 set the stage for a let-down akin to a person pumped full of adrenaline who is ready for something amazing, but gets only a smartphone that is just really, really cool.